On Saturday, April 12th we will be holding an AR precision/ practical shoot in place of the regular CQ match, sign up starts at 08:30, $20 per shooter. You can use any AR type rifle, bring 50 rounds of rifle ammunition, a pistol/ holster and 10 rounds of pistol ammunition and usual shooting gear. 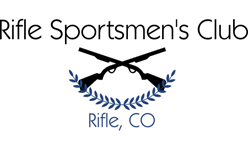 You MUST arrive zeroed/ NO practice shots allowed before the match, you may only use ONE rifle for the match. Shooting will be from a bipod, or off a backpack, and field positions, no shooting sticks, or sandbags allowed, NO spotting scope use by the shooter. Rangefinders are allowed, you will shoot targets from 100 to 540 yards (rifle) and 40 to 80 yards (pistol). Shooters will spot their own misses/ no called shots by a spotter (except hit/ miss for scoring purposes). There will be 6 pistol shots required from a fixed position at precision targets (no reloading required). There will be 5 stages with a total of approximately 35 rifle and 6 pistol shots. The match is limited to 20 shooters, this match is popular, make sure you pre-register.